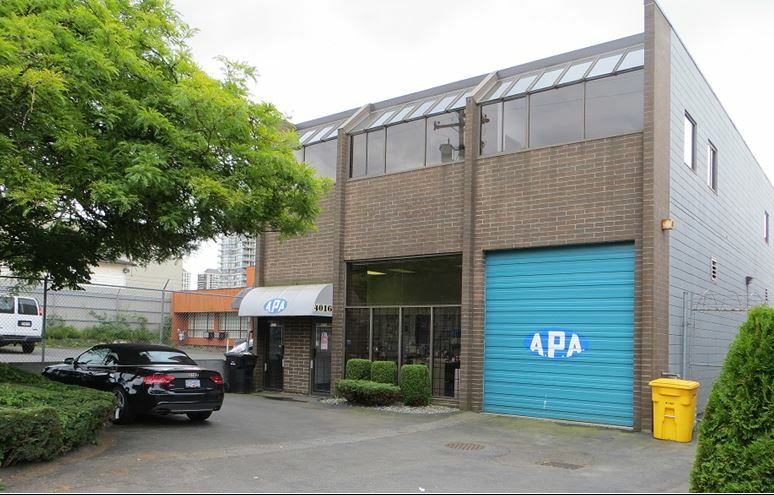 The subject building is primely located on 1st avenue, a principal through fare providing direct access to the Trans Canada Highway and Downtown Vancouver. Boundary Road is two blocks west provides excellent North/South access while Gilmore Ave which is one block east and providing a short walk to the Gilmore Skytrain Station and the Brentwood Town Centre. Total Area: 4,860 sq. ft.
Two (2) parking stalls at the front and secured parking for up to five cars in the rear.